Public holidays. We all love ‘em, right?! Well, most of us do. 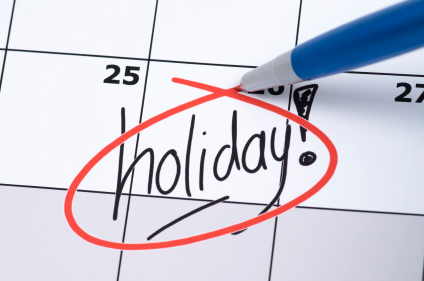 I suspect there are a fair few business owners and payroll managers out there who secretly dread those 11 days a year that the rest of us can’t wait for. That’s because public holiday payroll calculations can be a right pain in the backside. Especially for those of you who have to manually figure out what everyone is due. We’ve heard more than a few stories about poor buggers that spend a day or more after every public holiday trawling back through old timesheets and pay records with a calculator in hand. So we thought: how can we help? Otherwise working days, alternative days, relevant daily pay, average daily pay. There are a lot of moving parts and potential landmines, but we’ve distilled a handy little guide for you to refer to that we hope will make your life much easier after the next public holiday. Otherwise Working Day (OWD): If the day had not been a public holiday, would the employee have been at work? If yes, it’s an OWD. If no, it’s not. Not sure how to figure this out? There’s no strict definition, but a rule of thumb that many people use is if an employee worked on that day in 3 out of the past 4 or 5 weeks it is considered an OWD. And when in doubt, the Department of Labour has this calculator to help you figure it out. Alternative Day: An additional day of leave that is accrued by an employee when they work on a public holiday that is an OWD for them. Relevant Daily Pay rate: Relevant daily pay is what an employee would have earned if they had been at work that day. Average Daily Pay rate: For employees with irregular work patterns it may be impossible or impractical to determine what they would have earned on any given day. If that’s the case, then the average daily pay may be used instead. This is the employee’s earnings over the last 52 weeks, divided by the number of days they’ve worked in the last 52 weeks. Or, you could do it the easy way… Just reach out to our specialists to take care of things for you with our Automated Public Holidays feature. Fill in your info and download a useful diagram to find out how much you need to pay your staff for a public holiday below.